I was planning on something else for today, but a long afternoon rehearsal followed by spicy lip-licking-delicious Korean food left me feeling pretty tired. Here is a quick NOTD post instead! 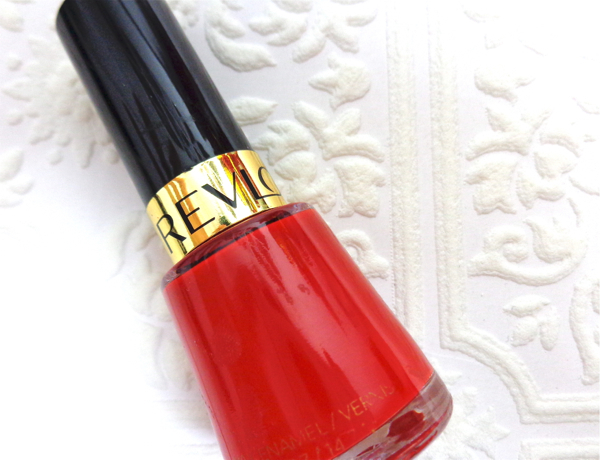 Revlon Nail Enamel Revlon Red has been around forever. This is definitely a cult classic that everyone should take a look at least once in her makeup life. Revlon Red is pretty much a neutral red that leans a tiny bit warm. Nowadays we are surrounded by nail polishes with creme-gel finish which I actually prefer usually, but sometimes I want more than that. 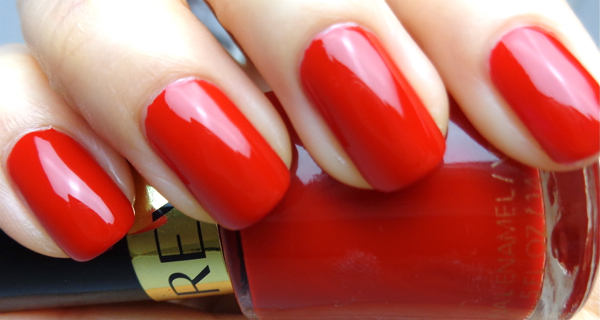 This red polish screams retro and stands out thanks to its completely opaque finish. 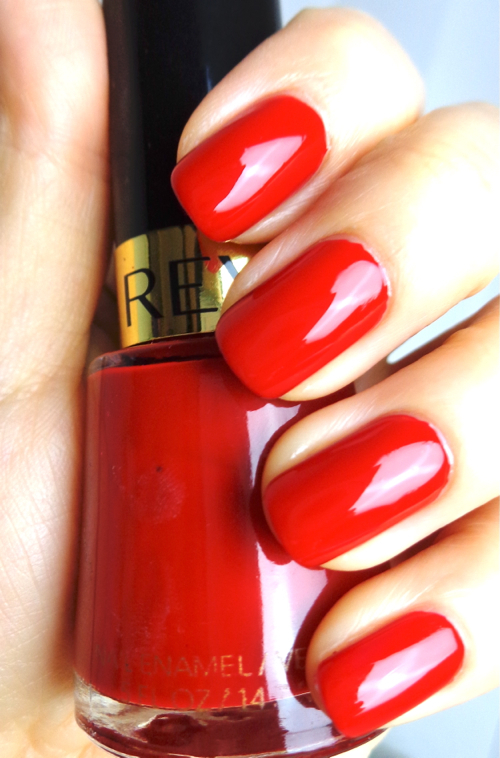 I usually have no problem with Revlon nail polishes, but Revlon Red is exceptionally good both in application and wear. The color in the picture was achieved only with one coat. That's right. This is my second bottle and I will repurchase this forever. Revlon recently jumbled up their nail polish names but did not dare to touch this one. Thank Goodness. I would have started a petition if they had.